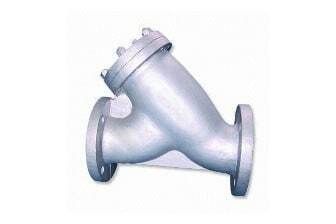 We are honored as cast carbon steel Y type strainer manufacturer, supplier and exporter in the industries for our ability to manufacture the matchless quality strainer to resolve the high pressure, high temperature and corrosion issue. This high pressure and is common while oil and petrochemical processing and therefore cast carbon steel Y strainer is sagacious decision to filter the impurities from thereof. The excellent strength, hardness, corrosion resistance, fatigue resistance are the core features of this WCB Y strainer that makes it an outstanding even under the severe surroundings. Other than, it’s resistance against mechanical and thermal shock has made it an indispensable part of the miscellany oil refineries. The offered collection of the WCB Y strainer is notably acclaimed in the industries for impeccable and precise filtration operations and ability to outperform even under the corrosive and high pressure environments. This highly applauded range of the cast carbon steel Y type strainer for steam is available in Maximum working pressure 300 psi to 2500 psi, 750 ° F to 880 ° F, whilst for the water, oil and gas is available in Maximum working pressure 280 psi to 6000 psi, 100° F. The flanged, socket and thread are available as per your end user requirements. Our entire range meets all the ASME standards and hence is hugely accepted in the India as well as international market.